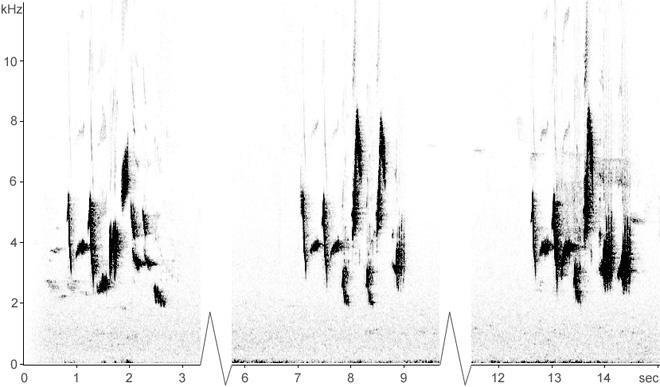 Singing in a sunlit spruce glade, c10 metres up, sometimes down to 2 metres. 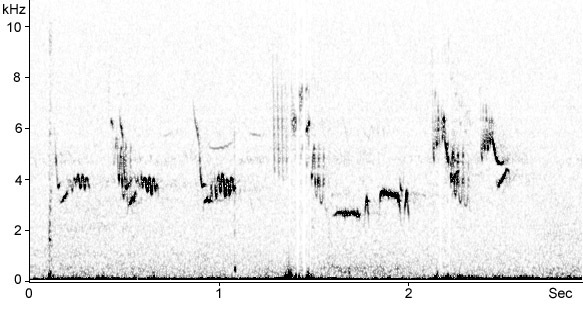 Singing c3 metres up in an ash in open oak parkland. 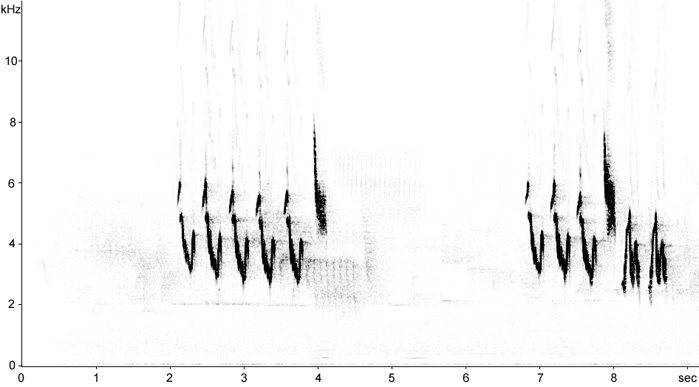 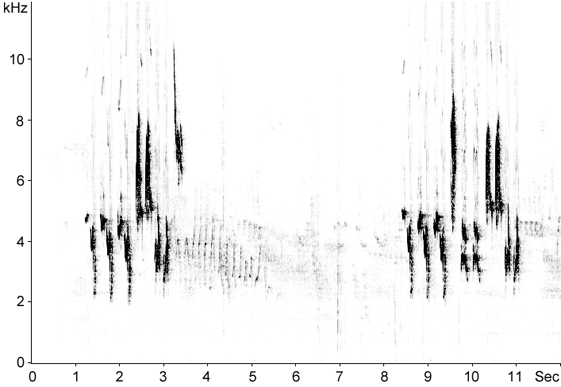 Territorial song from oak/hazel woodland; 9 to 10 phrases per minute.